Born in Milan, Italy, Aldo Rossi achieved international recognition in three distinct areas: theory, drawing and architecture.He was one of the most distinguished exponents of postmodernism. After receiving his architecture degree at the Polytechnic University in Milan in 1959, Rossi served as a course assistant to prominent architects Ludovico Quaroni and Carlo Aymonino. Rossi became a faculty member in the School of Architecture in Milan in 1965 and at the University in Venice in 1975. In addition to these regular appointments, he also held positions as a professor in Zurich, Spain and the United States. While still a student, Rossi wrote for the journal "Il Contemporaneo" and the architecture journal "Casabella Continuità," of which he was editor from 1960 until 1964.In 1966 Rossi published the widely acclaimed bookL'architettura della città(The Architecture of the City). Spurning the then-fashionable debates on style, he instead criticized the lack of understanding of the city in current architectural practice. Rossi argued that a city must be studied and valued as something constructed over time; of particular interest are urban artifacts that withstand the passage of time. Rossi and Luca Meda co-organized the 13th Milan Triennale in 1964. In 1973 Rossi organized the 15th Triennale, where he made a controversial attempt at rehabilitating the rationalist architecture once favored by the Fascists. He wanted to detach its formal language, materials and structural approach from its tainted historical context and make them available to postmodernism. 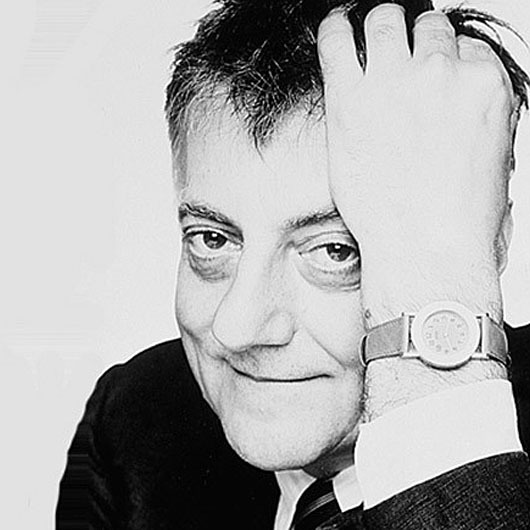 In 1985 Aldo Rossi was head of the 3rd Architecture Biennale in Venice, and in 1990 he was the first Italian to have been awarded the prestigious Pritzker Prize for architecture. Rossi's most important architectural achievements include the Gallaterese residential settlement in Milan (1968-73) and the "Teatro del Mondo" in Venice (1979). In 1988 he won the competition for designing the building of the History Museum in Berlin, but the museum has not been built. Rossi built the Bonnefanten Museum in Maastricht between 1992 and 1995. In 1997 he planned several buildings for Leipziger Platz in Berlin, not all of which, however, have been built since he died unexpectedly. As a designer of appliances and furnishings, Rossi created numerous objects for Alessi including appliances such as the "La Conica" (1984) and "La Cupola" (1989) espresso machines, the "Prometeo" table lamp (1988) and the "Milano" chair (1988). In 1989, Rossi designed the "Parigi" armchair for Unifor. Rossi died in a car accident in September 1997 in Milan.